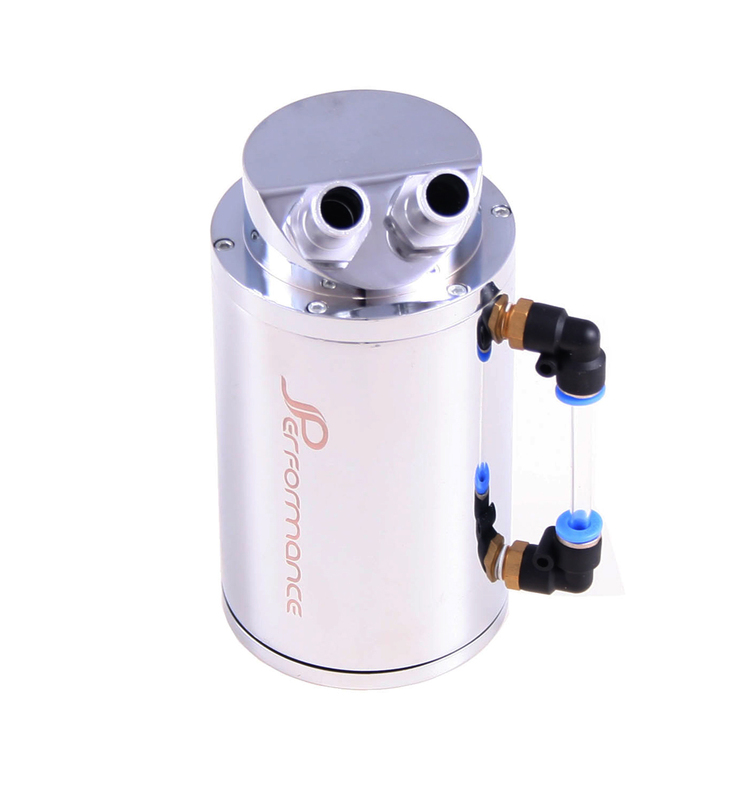 Oil Reservoir Tank that is made from 6061 T6 lightweight aircraft grade billet aluminium. This is a complete catch can kit including 600cc Reservoir tank, fixings, mounting bracket, braided silicone hose and hose clips. This is a very simple mod to fit, the mounting bracket can be fixed in two different positions to ensure fitment. The external gauge shows content level and drain plug is used to empty the can. This item is the highest quality JDM Japanese import finished to a very high standard equalling, if not better than the ones from big brand names. An oil catch can is not purely cosmetic but also helps keep the engine clean inside and out. An Oil Catch can catches the oil and moisture in the blow-by gas that causes carbon and sludge build-up in the intake system and the engine. keeps the engine clean even under hard driving conditions. It is also an excellent engine bay dress up item that add a bit of bling to the engine bay. 15mm hose bore for Turbo engines. 9mm hose bore for Normally aspirated (non turbo) engines.